Beretta has added to its ranks a reliable and durable Compact to its Px4 Storm series. The series, in all its different configurations, has been carried by law enforcement and military worldwide. With all the same wonderful qualities as the other Px4 Storm, the Compact stands up proudly among its predecessors. It has the concealability of a small firearm with the magazine capacity of a full-size, so it fits great in our Kydex Beretta PX4 Compact holsters for concealed carry. It also comes with Beretta’s satisfying rotary barrel, which as reviewers have stated, make for enjoyable shooting. This compact comes with a full grip and full capacity magazine. It is modular—allowing for supreme customization for each and every shooter. There are interchangeable backstraps to accommodate different shooting styles. In the hand, the Px4 Storm Compact has a rotary barrel system which as Beretta states: “results in much less thump in your hand and super-fast follow-up shots.” Reviewers rave that the rotating barrel feature provides smooth shooting—surprisingly smooth, in fact. 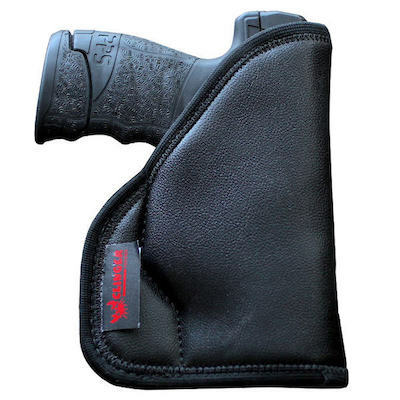 The grip itself is smooth with stippling in just the right places to provide suitable stability for a secure grip. It has an ambidextrous safety and slide lock with and optional magazine release which is also reversible. The Px4 Storm Compact also includes Beretta’s patented, retractable lanyard loop, Picatinny accessory rail, and a Commander-style hammer. It also comes with adjustable 3-dot sight system. Included in a purchase is two 15-round capacity magazines. Along the lines of safety, the compact comes with a manual safety as well as an automatic firing-pin block—both allow for confident, all-day carry. 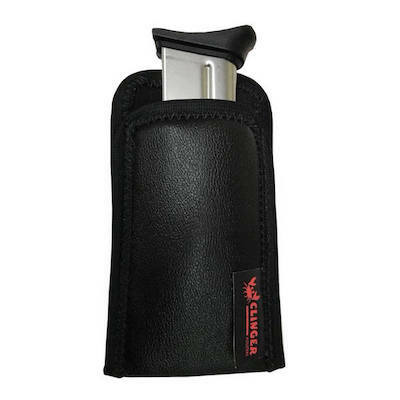 Its small size lends it to being easily carried even with its added weight by the full-capacity magazine, whether in a pocket holster or a solid kydex IWB holster. In fact, it’s slightly larger than the average smartphone.